At AN and Enclos’ Facades+ PERFORMANCE, the most anticipated conference on high-performance building enclosures, we not only provide you with the educational experiences that enable you to push your professional practice into emerging architectural frontiers, but we facilitate the networking opportunities that provide you with connections you need to excel in today’s dynamic professional environment. Be there as hundreds of leading specialists from across the AEC industries gather to share and discuss the latest methods and technologies that are revolutionizing the built landscape. Whether you are an architect, engineer, fabricator, contractor, materials supplier, developer, educator or student, Facades+ PERFORMANCE is the destination for those interested in the latest breakthroughs in all aspects of high-performance facades. There are only nine days left before the conference touches down on Mies van der Rohe’s IIT Campus in Chicago, so register today to take advantage of this exciting opportunity. Sign up now and mark it down on your calendar: Facades+ PERFORMANCE, Chicago, October 24th-25th! 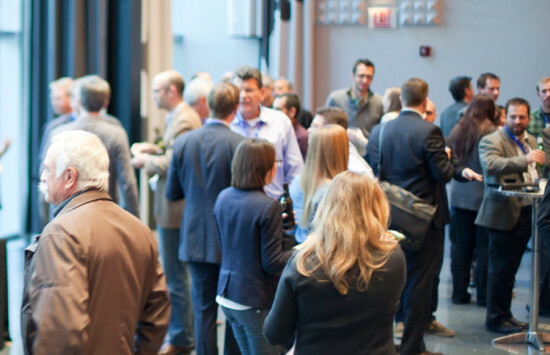 With networking breaks every two hours, complementary lunches, our jam-packed sponsors gallery, and, to top it all off, a cocktail reception at Rem Koolhaas’ IIT McCormick Tribune Campus Center, the Facades+ agenda was crafted to maximize your ability to form crucial professional connections. Be exposed to new technologies, new methods, new materials, and new ideas as you meet and mingle with representatives from today’s most exciting firms. The clock is ticking, so reserve your space today to begin the next stage in your career.